Sarai Walker’s Dietland is a viciously funny novel that deftly balances its skewering of the patriarchy with a powerful message of self-acceptance. And who better to bring the radical self-love and revenge killings for the small screen than Buffy The Vampire Slayer writer-producer Marti Noxon? In the new AMC drama starring Joy Nash and Julianna Margulies, the former Mad Men writer and UnREAL co-creator establishes the power of the beauty industry while tracking the journey of giant-slayer Plum (Nash). Walker’s protagonist starts off as a meek ghostwriter for an advice columnist, but once she’s recruited into Calliope House, the reckoning begins. This exclusive clip from “Tender Belly,” the second episode of the two-part series premiere airing Monday on AMC, shows Plum stuck in her old life of people-pleasing, including agreeing to do a detective’s (Adam Rothenberg) infiltration work for him. But it’s still an important step forward for Plum, who’s just getting used to breaking the rules. 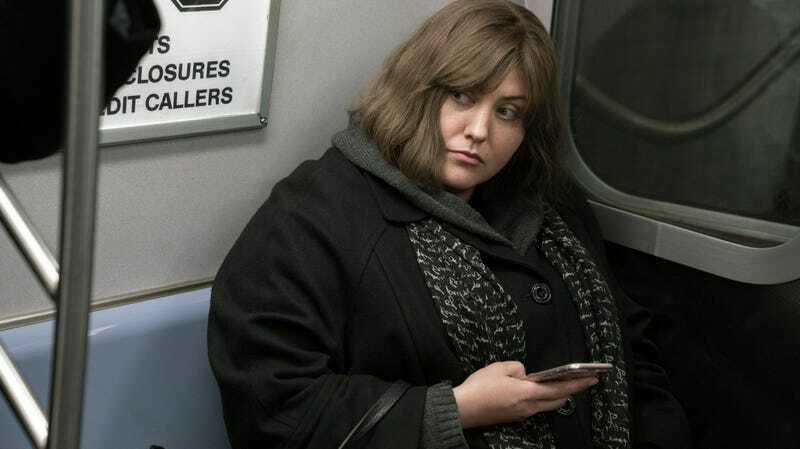 Dietland premieres June 4 on AMC.